The earbuds and cable are all one vibrant colour to match your music player or outfit. 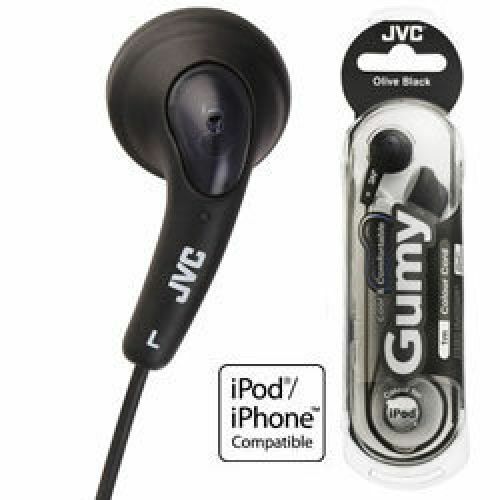 Small, comfortable design with comfortable soft rubber earpieces. Great sound from the 13mm drivers. Perfect cable length to minimize cable tangles. Standard 3.5mm stereo mini plug for wide compatibility. 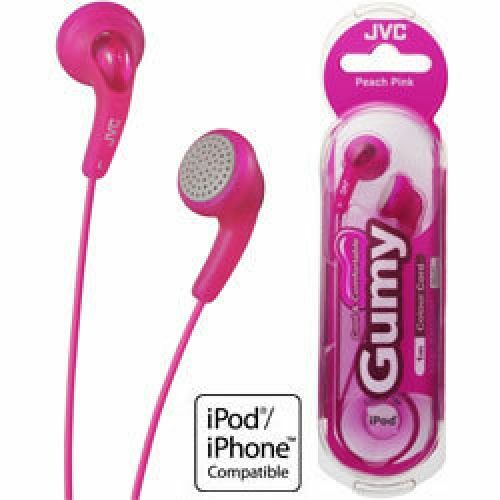 Stay stylish and comfortable with JVC's Gumy earbuds. They're constructed with elastomer, a new type of material that promises a consistently comfy fit, whether you're biking, running, or just lounging in the sun. 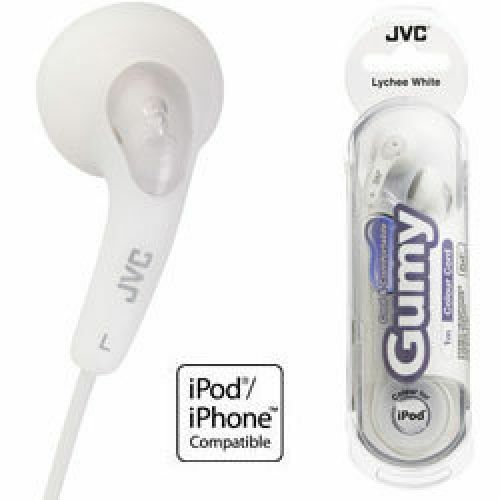 Suitable for iphones & ipods etc.